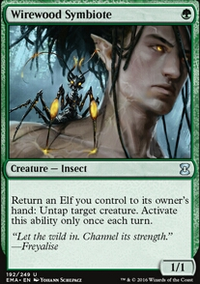 I think you need to utilize the ability of ramping with green and elves way more. 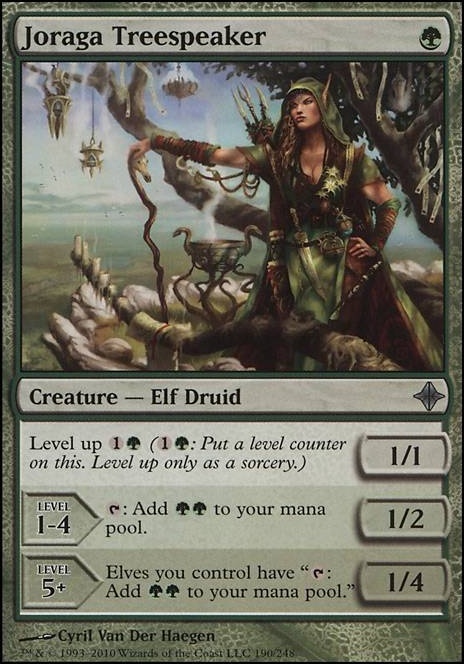 Add Elvish Archdruid , Rofellos, Llanowar Emissary , Joraga Treespeaker , Farhaven Elf , Wirewood Channeler and there are plenty more if you search for them. I would include more ramp spells as well, not only Cultivate as you have it, but also Rampant Growth , Explosive Vegetation , Kodama's Reach and so on. 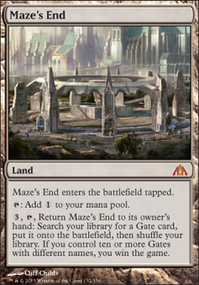 Personally I like Growing Rites of Itlimoc Flip as I find Gaea's Cradle too expensive. Last but not least you could add mana doublers like Gauntlet of Power , Heartbeat of Spring , Dictate of Karametra , Mana Reflection , Regal Behemoth or Doubling Cube . 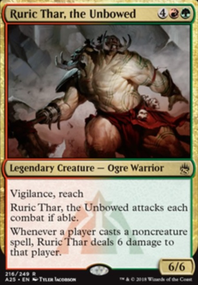 To be honest: For a really fast Eldrazi Deck I would probably go with Nikya of the Old Ways as a commander and add Zhur-Taa Ancient , Neheb, the Eternal , Grand Warlord Radha . But I don't know if you would like to change the deck this much. So have fun either way, I hope it helps! I would start with cutting Arcane Encyclopedia. In green, you have much better options. Guardian Project , Lead the Stampede , Vanquisher's Banner , and Harmonize are all better. Elvish Piper can go. 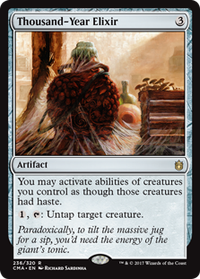 What are you putting into play that's worth the 5-mana, two turns, and a card of investment? Devikarin Dissident can go. It's just not very strong. 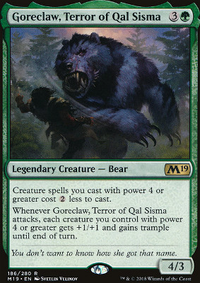 Druid of the Cowl, Elfhame Druid, Llanowar Scout should be the next creatures to go. There are better mana elves out there. 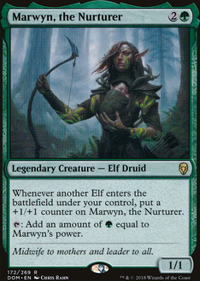 Llanowar Elves , Fyndhorn Elves , Joraga Treespeaker , and Arbor Elf should all be in there before more mana elves enter the equation. Blanchwood Armor, Oakenform, Arbor Armament, Dragonscale Boon, Gift of Growth, Mutagenic Growth, Pounce, Shape the Sands, Vines of the Recluse, and Takedown are all poorly suited to EDH. You'll want effects that pump your whole team like Beastmaster Ascension , Overwhelming Stampede , Craterhoof Behemoth , and Thunderfoot Baloth , rather than targeted combat tricks. Likewise, you'll want Heroic Intervention to save creatures. As for flying removal, consider Hurricane , Tropical Storm , Whiptongue Hydra , and Tornado Elemental . @hungry000 Thanks for the advice! 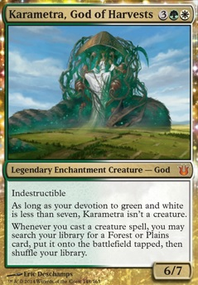 Joraga Treespeaker was 1 of the cards I was looking at to replace. It is the weakest card(other than maybe Heroic Intervention ) and the only reason I played it (I think) was because my fiend likes to play aggressive red decks and I needed the possible chump blockers.